It’s baseball time in the Southeast – time to share our favorite aerial photos of our favorite ballparks. It’s been a while since we could fly Opening Days, the Flight Restrictions for Stadium events are still in place since Sept 11, 2001, but we can still fly any other non-game days. SunTrust Park in Atlanta looks great from any altitude; High, Medium or Low. And with a win in the Home Opening 8-0, the Braves are getting off to a great start! 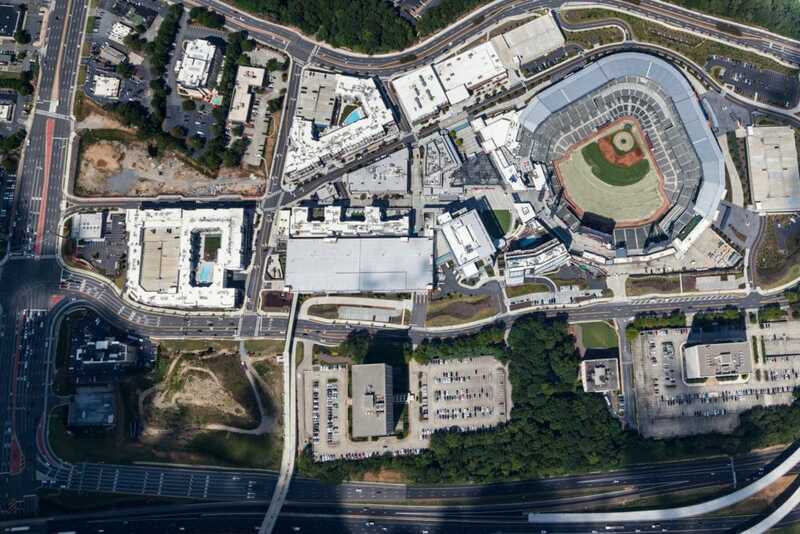 Here are a few aerial images of SunTrust Park. The Nashville Sounds open their season tomorrow at First Tennessee Park, located in downtown Nashville. It’s one of the best places in Minor League Baseball to watch a game….or to not watch a game! With a full bar, lots of activities and a great lawn space you can choose your own baseball adventure.